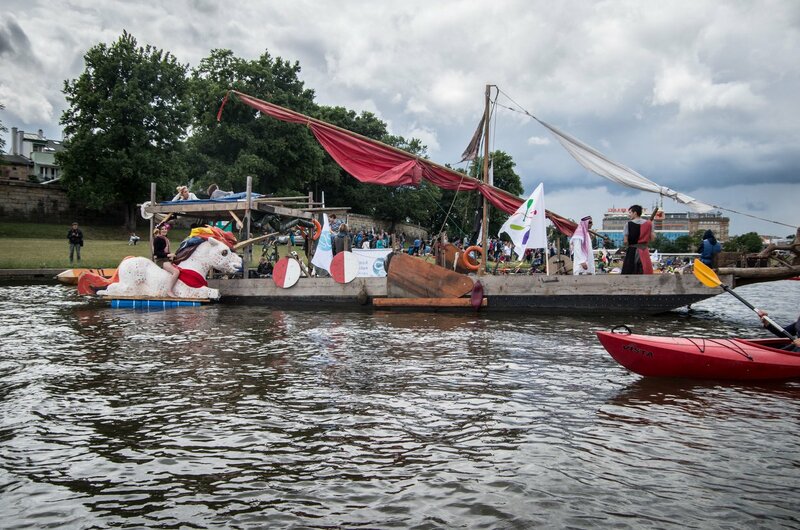 A unicorn, a school bus, a pirate ship, a silver moon, a gigantic rubber ducky, and many more eccentric homemade boats took to Krakow’s Vistula River on 24 June for the annual Wodna Masa Krytyczna event. It’s a lighthearted grassroots campaign open to anyone sober age 16+ with a life jacket, now in its seventh year, which aims to reclaim the river for public enjoyment and transportation. 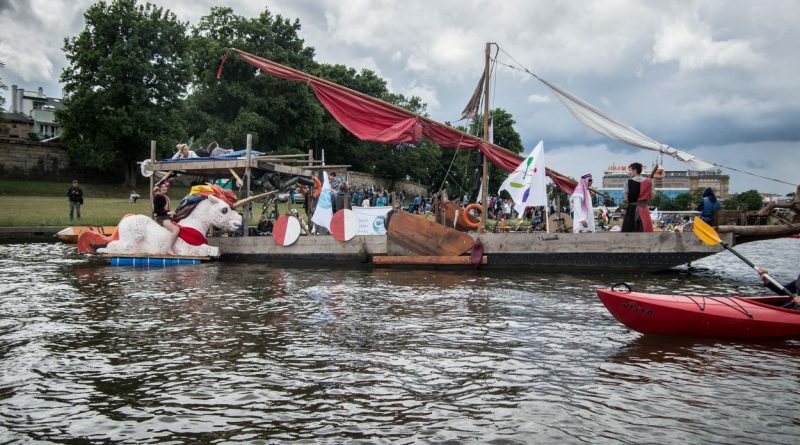 The organizers joined with the Save Our Rivers Coalition this year to organize the flotilla along with music and workshops. The Vistula River (Wisła) is the longest river in Poland, and as such one of its most important geographical, economic, and cultural features. It suffered from severe pollution from sewage dumping in the second half of the 20th century, but in recent years it has enjoyed a revival and is now home to a variety of unique plant and animal species (unicorns notwithstanding). You can see more photos from the event by friend of The Krakow Post Agata Zu Jabłonska at Wodna Masa Krytyczna’s Facebook page.